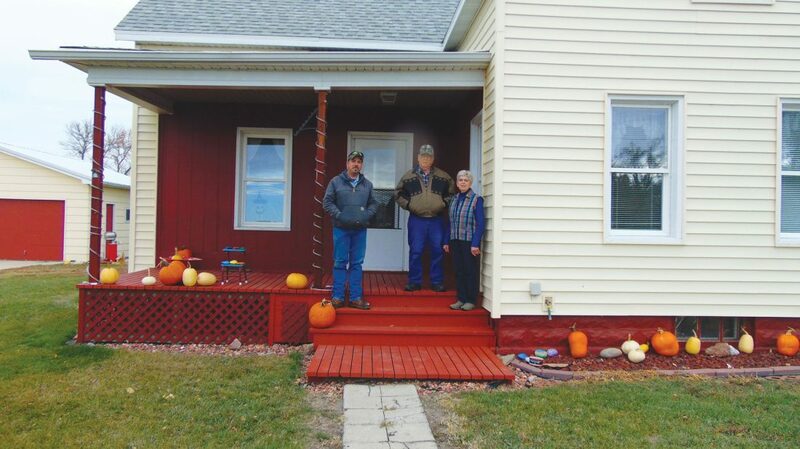 Sue Sitter/PCT Aaron Bryn, left, Ole I. Bryn and Amy Bryn are shown on the porch of their family home, built in 1896. RUGBY – When towns sprouted across the new state of North Dakota nearly 130 years ago, homesteads appeared around them at a steady pace as settlers filed claims on land up for grabs. Members of Amund Bryn’s large family joined the land rush in the early 1880s, leaving Gudbrandsdalen, Norway, a few at a time, until Amund, his wife, and several of their 17 children were in Minnesota. From there, they settled in parts of Dakota Territory, staking claims in what would become Pierce County, near present day Balta. Sons Ole A. and Thorvald Bryn made the voyage to the United States separately from their other family members and joined four of their siblings at Lac Qui Parle County in Minnesota. Ole worked on farms in Minnesota and Eastern North Dakota to save money to stake a claim of his own. In 1886, Ole A. Bryn traveled to Devils Lake, and filed a tree claim for property on the northwestern edge of Pierce County in Dewey Township. He set about proving up the land, built a sod home, and planted shelterbelts. He married Martha Stutrud, began a family and built a wooden farmhouse for them. Ole’s sister Ronnog and brother Paul would file claims near his land a few years later, and around the same time, the McHenry County town of Berwick sprang up just to the south. Over the next several decades, other Dewey Township homesteads changed hands, and people gradually moved from the area. Berwick faded away, leaving a cluster of vacant buildings along a gravel road off what is now U.S. Highway 2. However, the neat wooden home Ole A. Bryn built for his family in 1896 still stands, its exterior protected by new buttercream-colored siding, porch coated in russet paint and insulated windows decorated with drawings done by Ole A. Bryn’s great-great granddaughters. Ole I. Bryn and his wife, Amy, have lived in the home since they married in 1961. However, Ole I. grew up in a different home on land adjacent to his grandfather’s, the quarter once owned by Ronnog Bryn. His father, Melvin, had filed a claim on the land 15 years after Ronnog’s death. Melvin and Florence continued farming, and helped Ole A. Bryn with his operation as the years passed and Martha Bryn’s health declined. They had two sons, Milo, who taught mathematics at South Dakota State University, and Ole I. Bryn, who took over the farming operation. Although Melvin and Florence began their marriage and farming years in 1931, Ole said he couldn’t recall any stories his dad told him about starting out during the Great Depression and Dust Bowl. “It wasn’t much fun, I’ll tell you that,” Ole noted. Family lore from further back in time tells of Ole A. Bryn and his neighbors surviving a terrible blizzard, and helping one of them recover from severe frostbite on both of his hands. But the Bryn family endured, and their interest in farming and ranching continued through four generations. After Ole A. Bryn’s death in 1954, the house stood empty until Ole I. and Amy Bryn moved in seven years later. Although drought and grasshoppers tested the newlyweds in their first year, their cattle, wheat and barley operation grew. 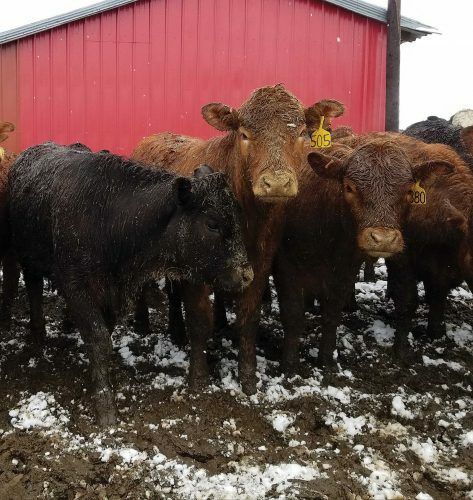 They had three sons: Michael Gene, who owns a body shop in Towner; Rodney Melvin, who works for John Deere in Crookston, Minnesota, and Aaron Reid, who now operates the family ranch. 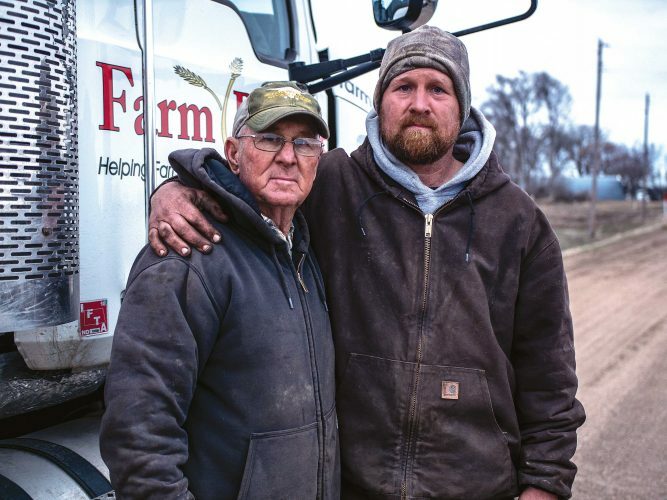 “All my kids are interested in farming right now,” Aaron said, “but the oldest is only 13. My oldest is Emily, then there’s Josie, Leah and Reid,” he added, pointing to a family photo that sits on a shelf made by the children’s Grandpa Ole. Aaron said he’s happy to keep the family ranch going into another generation. 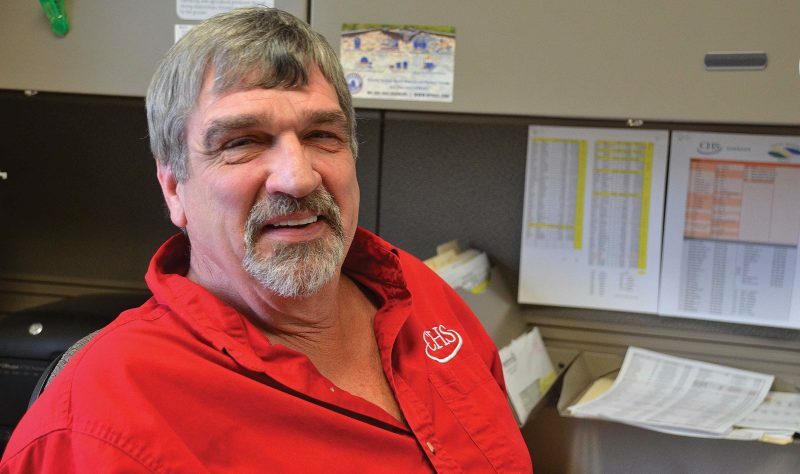 He oversees 2,500 acres, mostly devoted to Angus and Charolais Hereford beef cattle. He also grows some acres of oats. Aaron and his wife, Koreen, live in a home with their children north of his parents’ home. “It gets in your blood,” Aaron said of agriculture.